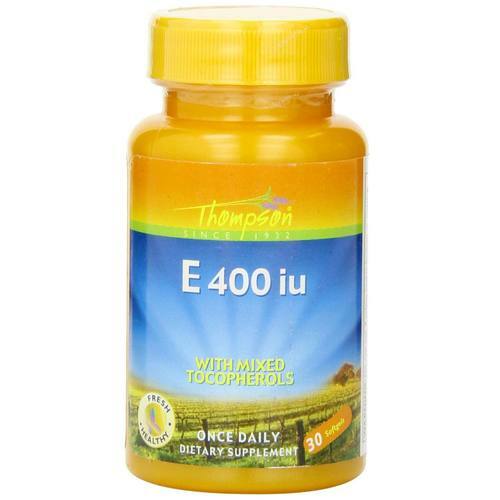 E 400 IU from Thompson helps your body ward of potentially damaging free radicals so they cannot attack the body. Vitamin E has several benefits within the body as an antioxidant. 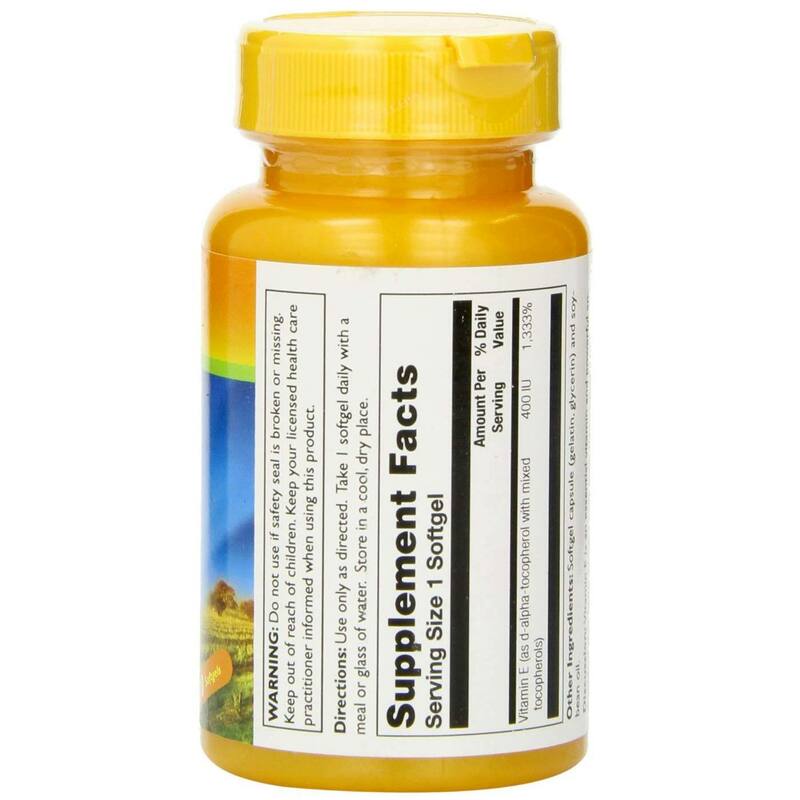 This important nutrient keeps the tissues of the body, like the skin, eyes and hair, strong to prevent damage while promoting healthy circulation and boosting the immune system. 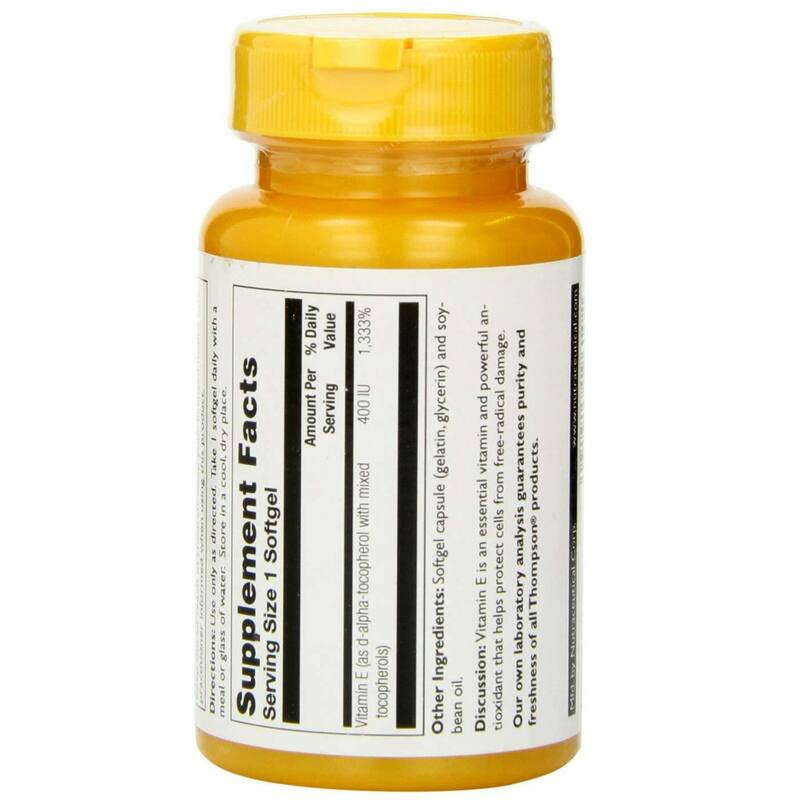 Taking Thompson's E 400 IU regularly also enhances the antioxidant activity of other nutrients, providing additional support. E 400 IU from Thompson is the most biologically active form of vitamin E available. Try it today at eVitamins! Recomendações de uso: Take 1 softgel daily with a meal or glass of water.